Tuesday morning of this week, word spread on the Internet that due to ongoing contract negotiations, Ryback was sent home before Monday Night Raw. Later on Tuesday, Ryback posted a statement on his Tumblr page explaining his side of the story. Basically it comes down to Ryback thinking all wrestlers should be paid essentially the same base level due to wrestling being a predetermined sport. Ryback’s argument is since wrestling is predetermined, management and creative determine whom the top stars are instead of talent themselves dictating their status. Other sports can get away with a pay discrepancy because the athletes prove their own worth. If given the opportunity, a NFL team is going to pay Tom Brady more than Ryan Tannehill because Brady has proved himself to be a better cheater… I mean, better player. When it comes to wrestling though, has Roman Reigns proven himself to be better than Damien Sandow, or just given more chances at being in higher profile situations? Sticking with the Reigns/Sandow comparison, right now Reigns is “The Guy” while Sandow is primarily missing in action. However if the two were to face off against each other, odds are Sandow would receive the bigger positive reaction. Scanning the crowd, even if Sandow is getting more cheers, there will be more fans wearing Roman Reigns t-shirts. Why? Because the kiosk at the event probably doesn’t sell any Sandow shirts while stocking at least two different Reigns shirts. 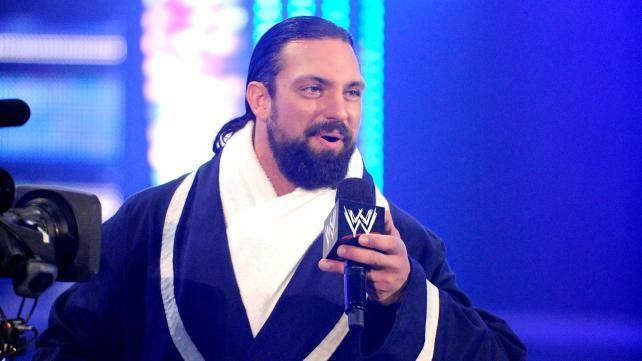 Over the past 2-3 years, Sandow has been over with the crowd while being saddled with some less than stellar ideas. Instead of capitalizing on Sandow’s popularity and establishing him as a top player, he has routinely been taken off TV for stretches at a time. Going back to Ryback’s argument, when their contracts are up for renewal, should Sandow be paid considerably less than Reigns? They’ve both done what has been asked of them by WWE. They’re on the road probably the same about of days per year. The only difference is Vince McMahon has determined Roman Reigns is the top guy. While I don’t think all wrestlers should be paid the exact same, seems too socialist to me, I do think Ryback has a valid point. Since WWE has eliminated the full time jobber position, some of the wrestlers they have under contract have to fill that position. But who decides which wrestlers are jobbers and which are Superstars? When the person signing the paycheck determines an employee’s status in the company, does it make sense to have an arbitrary pay scale? Unfortunately I don’t think Ryback’s stance is going to change anything within WWE. 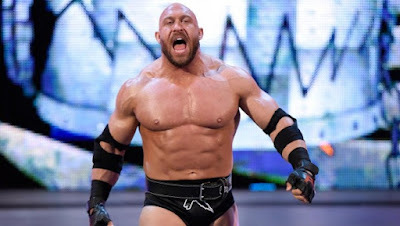 Unless other wrestlers follow suit, WWE can easily have Ryback sit at home for the remainder of his contract and continue business as usual. It will be interesting to see how this plays out. Yo, Class of '91, let's kick it!